Welcome to the redesigned Paul’s Guide Service. Take a few minutes to check it out along with our Social media sites. 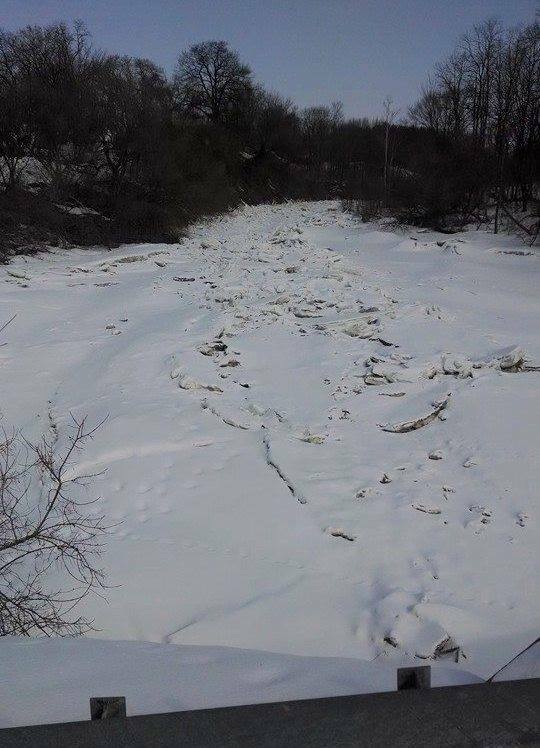 Here is a picture of South Sandy Creek in Ellisburg on March 10th. When this let’s go it will change the channel in a few spots. Mother Nature sure is putting a beating on everyone in the East this year, heavy snow fall, way too many days below zero has everyone with a little cabin fever. The forecast is calling above freezing temperatures. 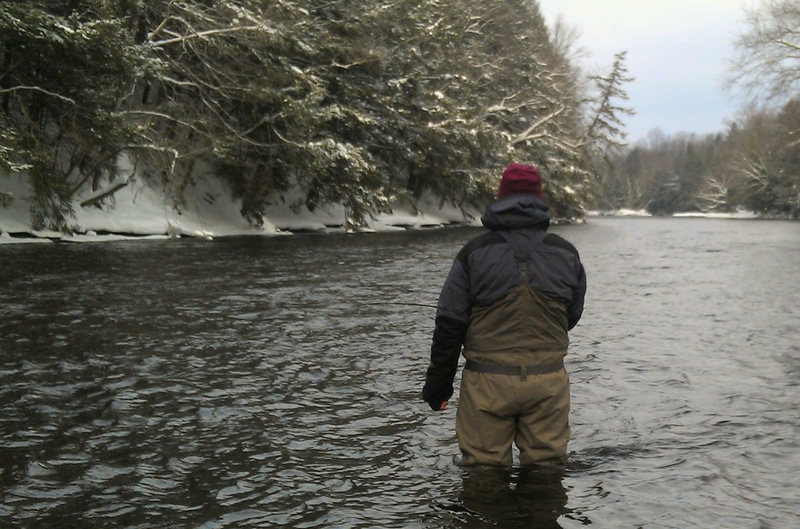 As of the time I’m writing this the river is running low at 285cfs and rumors the reservoir is down 6 feet, on the plus side Redfield (Where the reservoir is located) has had over 300″ of snow this season, so it won’t be long and we should see some good flows. Access to the river right now is pretty tough unless your near a parking lot or a bridge, the snowpack is about 2 ½’ to 3’ deep if you plan on blazing a trail anywhere.